Back in April, Hulk Hogan announced a new format to IMPACT WRESTLING on Spike TV – “Open Fight Night”. This once-a-month special gave anyone on IMPACT the opportunity to call out anyone on the roster and that person had to fight. Along with “Gut Check”, the episode featured a championship match where Hulk Hogan decided the challenger. Starting Thursday night and happening once a month, “Championship Thursday” will break out into its own episode of IMPACT WRESTLING on Spike TV - Hulk Hogan announced to ImpactWrestling.com today. On “Championship Thursday”, an IMPACT WRESTLING champion will walk to the ring not knowing whom they will face. During this monthly episode, four challengers will meet with Hulk Hogan and plead their case why they deserve the shot at the champion. One by one, the challengers will be eliminated until bell time when two challengers remain. As the champion stands in the ring ready to defend, Hogan makes the final decision and the title match starts right then! On Thursday, the World Tag Team Champions – Kazarian and Christopher Daniels -walk to the ring not knowing their foes. Hulk Hogan will sit down with four sets of challengers and hear their case during the broadcast! The challengers will be AJ Styles and a partner of his choosing, Robbie E & Robbie T, Gunner and Kid Kash, and Chavo Guerrero & Hernandez! 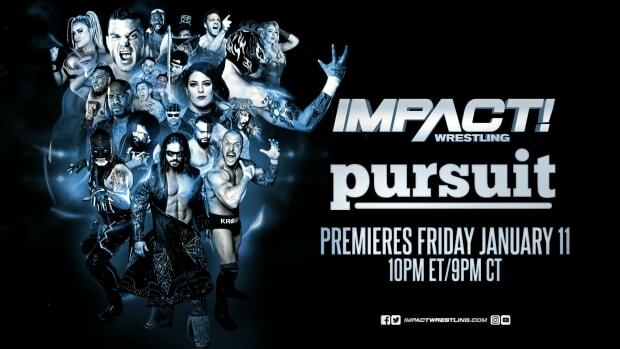 Tune into Spike TV on Thursday at 8/7c to see how it unfolds LIVE!